I love to host parties. And recently while planning a large Mother’s Day brunch at our house, I found ribbon to be a great way to pull a theme or look together for a party. I typically buy all of my ribbon at Michaels because they have a decent selection and offer coupons every week! You can’t beat 40 percent off. So, I wanted to share a few ideas of how you can use ribbon to create a look and feel for your next party. I love to use candles, flowers, lemons and limes, shells and more with the ribbon. 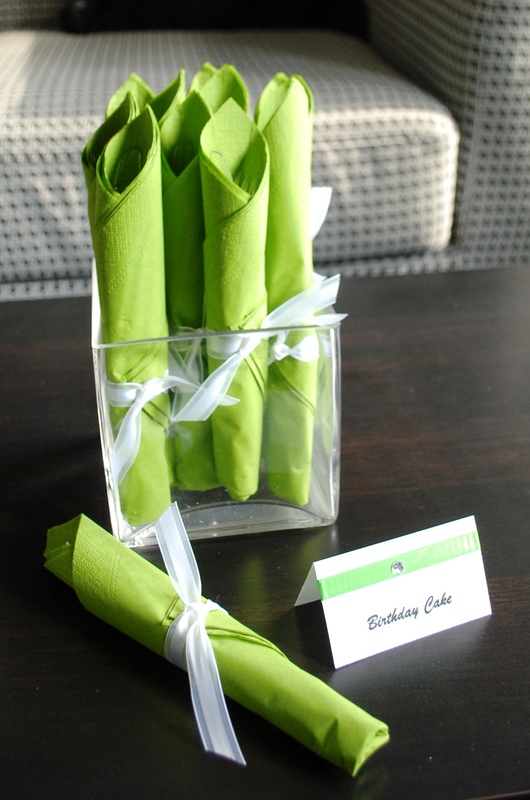 For a party we are hosting on Friday night, we are going with a simple green and white color scheme. I’ve also done lemons (yellow) and limes (green), plum and chartreuse, blue and brown and tangerine and fuschia. Anything goes. Start by finding ribbon that matches your color scheme. You can sign up to receive Michaels coupons on their website. They send a 40 percent off coupon each week. I like to buy napkins that work with the color and display them in an interesting way. For this party, we are doing a dinner buffet so putting prewrapped napkins and silverware in a glass vase works well. 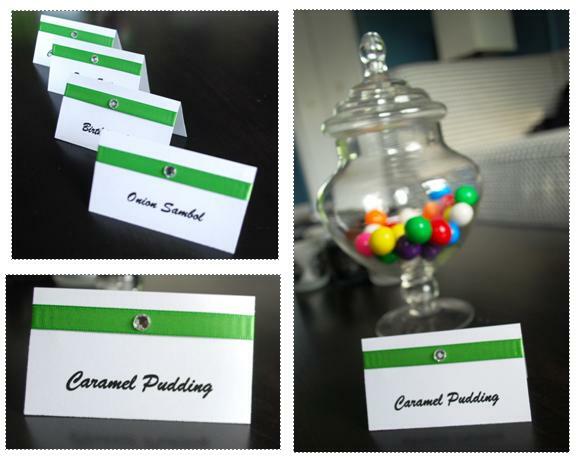 I have terrible handwriting so printed the names of the food onto placecard templates I bought at Office Max. 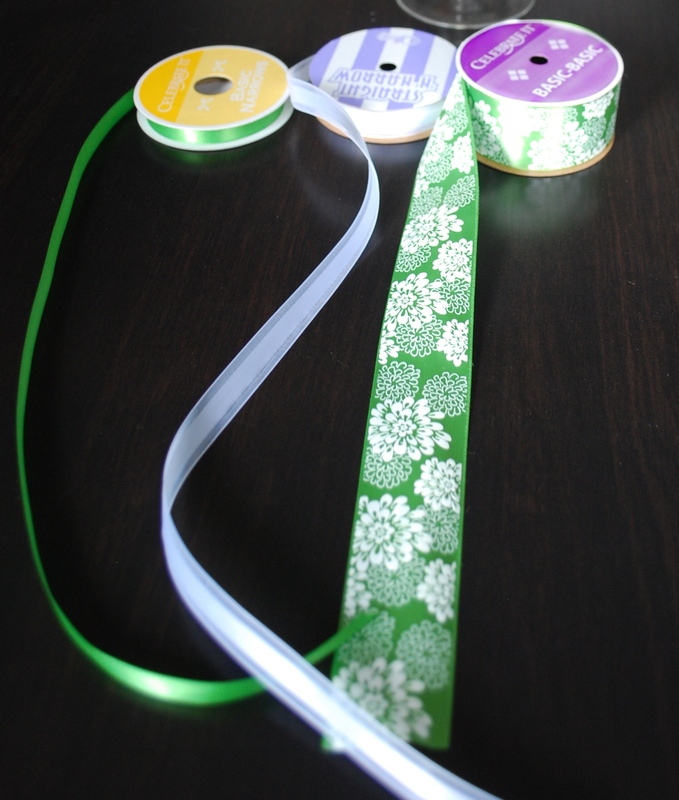 I attached solid green ribbon and a crystal sticker to pull the green and white theme together. Very simple and elegant. 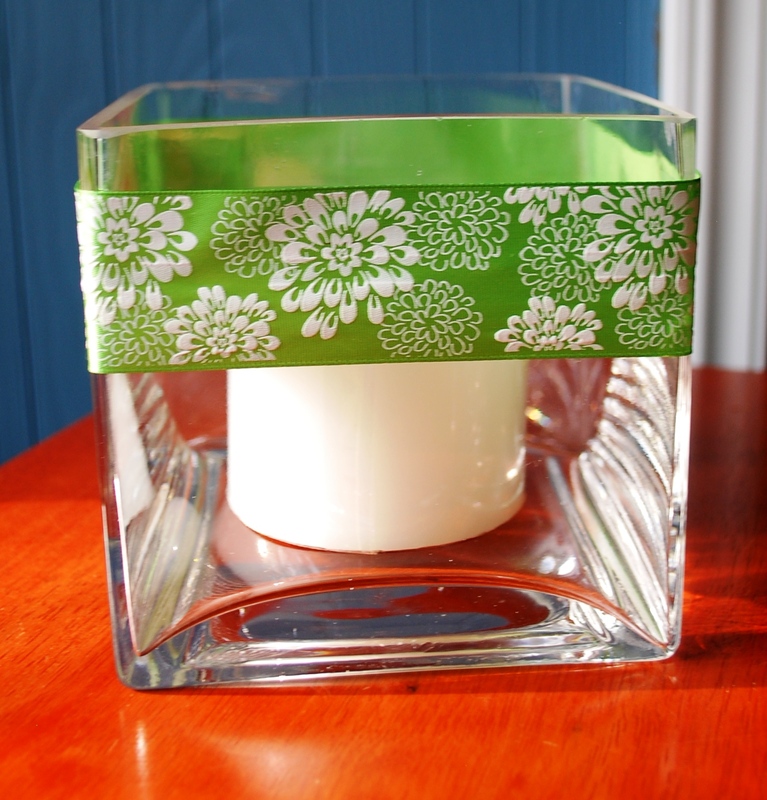 I also use patterned ribbon on cylinder and square vases with candles, floating candles and flowers inside. In the evening the glow from these vases is beautiful. I’ll take photos at the party on Friday night to show you the ambience these simple touches can add. I tied the same green ribbon as below around our old fashion lemonade pitcher. What tips and tricks do you use when throwing a party? 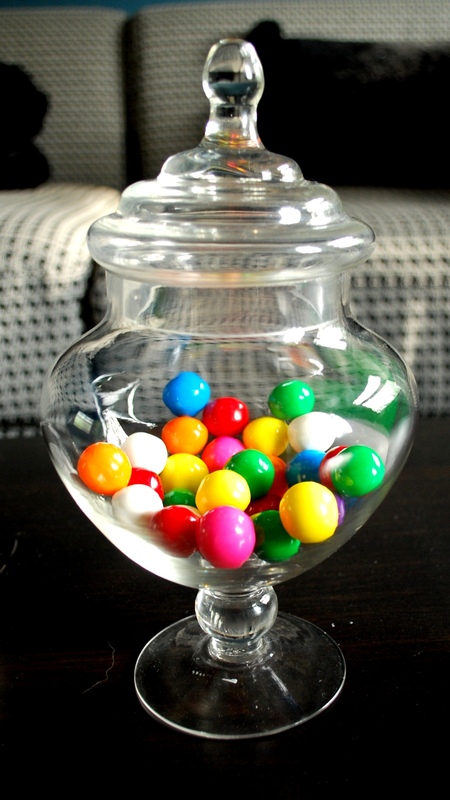 Please share your DIY and budget-friendly party hosting ideas by e-mailing livethefancylife@gmail.com. 2 Responses to "using ribbon for party decor"